And the award for worst version of a kid’s playground game goes to Tag, the three issue miniseries from BOOM! Studios that has recently been optioned for a feature film at FOX, according to Deadline. The comic was written by legendary writer Keith Giffen and drawn by Kody Chamberlain and Chee. The story centers on a man who is ‘tagged’ by a random stranger and soon finds his body is decomposing. After tracing the source of the curse back to its origin, the man must now decide whether to ‘tag’ someone else and pass the curse or die. Comparisons to this year’s hit horror film It Follows will be inevitable, but this comic was out for some time before David Robert Mitchell’s film. The property was originally set to be filmed at Universal, but the rights lapsed and FOX picked up on it rather quickly. Annabelle director John Leonetti will sit behind the camera for this film. He’ll be working off a script from screenwriters Ben Collins and Luke Piotrowski. No production start date has been set as of this writing. 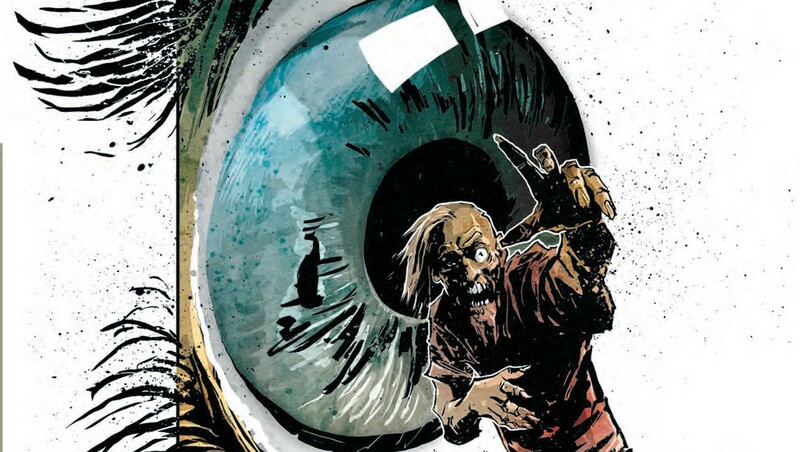 This is an interesting take on the zombie genre (he’s not undead, but he is a walking decomposing entity) so I’m in on just that alone. Hopefully they can recreate the creepy atmosphere of the comic on the big screen. This entry was posted in Breaking News, Comics, Film and tagged Chee, John Leonetti, Keith Giffen, Kody Chamberlain, Tag. Bookmark the permalink.